I have no reason to doubt Mr. Palmer; he has shown himself to be a man of truth and integrity. But I don’t know the character of either the Seventy or the returned Mission President who have been meeting with Mr. Palmer. Are they on the level? For the Christians here at Mormon Coffee this information may be somewhat surprising; however, it does not change our convictions about Mormonism in any way. But what does this mean for Mormon readers? If these things told to Grant Palmer are true, Mormon friends, do they affect your convictions about Mormonism? Assuming the truth of these claims for the sake of discussion, does it matter to you that every prophet, seer and revelator in the Mormon Church knows Joseph Smith is a false prophet, the First Vision never happened, and the Book of Mormon is not truly another testament of Jesus Christ? This entry was posted in Book of Mormon, Joseph Smith, Mormon Leaders, Prophets, Truth, Honesty, Prayer, and Inquiry and tagged Apostles, Grant Palmer, Hypocrisy, Mormon History, Testimonies. Bookmark the permalink. 87 Responses to Do Mormon Apostles Believe in the Restoration? I am going to attempt once more to explain this to you. It really seems to be in vain, as you continually twist things, showing over and over your complete lack of understanding of our doctrine, and your continual refusal to accept that you are wrong. However, I will try once more. This is wrong. An ordinance can be preformed a million times and have no effect on a person’s salvation. They must also have faith in Jesus Christ or the Ordinances have no lasting effect. They must also have the approval of the Godhead, as it is sealed by the Holy Spirit. As all members of the Godhead are one in thought and purpose to have the sealing power of the Spirit is to also have the approval of Christ. This approval and sealing will not come to an unrepentant person whose sins have not been washed through the blood of Christ. It is all centered in Christ, and the basic performance is only an outward sign of our acceptance of him. If we refuse to give the outward sign than we have proven that inwardly we have not fully accepted him. Do you even know what the Priesthood is? Here is a good explanation. The Priesthood does not rule Christ. It is his power, by which he does all things. The authority to use it is given to men, but when they do so it is always in the name of Christ, and only through his approval that it has any effect. So, once again, it is all about Christ. You have twisted the truth of the ordinances and the priesthood into a shallow reflection of their true nature; like looking into a mirror that distorts images and claiming the distortion is the reality rather than the person looking into it. I am not going to discuss the hypothetical beyond what I have said. As Sharon says, it is an introspective consideration, and it does absolutely no good to discuss it in public forums. Well Shem, it is YOU who are wrong. You live in a bubble that is impenetrable to the truth, one that certainly must bounce your own distorted version of Mormon doctrine back at yourself over and over again so that the truth can’t get through no matter what facts are presented to you. You need to shut up and start comprehending what your “apostles and prophets” actually teach, not what you wish it to be. The ordinance is what saves Mormons. LDS Christ has no power to save someone outside an ordinance. The LDS priesthood is what rules over the ordinance and that priesthood rules over the LDS Christ. Mormons should worship the priesthood because that is what is all powerful in your religion. Priesthood rules LDS God, not God ruling the priesthood. “Which priesthood continueth in the church of God in all generations…. Therefore, in the ordinances thereof, the power of godliness is manifest. And WITHOUT THE ORDINANCES thereof, and the AUTHORITY OF THE PRIESTHOOD, the power of godliness is not manifest unto men in the flesh” (D&C 84:17, 20-21). “The ordinance is what saves Mormons.” This is wrong. An ordinance can be preformed a million times and have no effect on a person’s salvation. They must also have faith in Jesus Christ or the Ordinances have no lasting effect. They must also have the approval of the Godhead, as it is sealed by the Holy Spirit. As all members of the Godhead are one in thought and purpose to have the sealing power of the Spirit is to also have the approval of Christ. This approval and sealing will not come to an unrepentant person whose sins have not been washed through the blood of Christ. It is all centered in Christ, and the basic performance is only an outward sign of our acceptance of him. If we refuse to give the outward sign than we have proven that inwardly we have not fully accepted him. God has made certain decreas which are fixed & unalterable. For instance God set the sun, the moon, the stars in the heavens, & given them their laws conditions, & bounds which they cannot pass except by his command. They all move in perfect harmony in there sphere & order & are as wonders, lights & signs unto us. The sea also has its bounds which it cannot pass. God has set many signs in the earth as well as in heaven. For instance the oaks of the forest the fruit of the tree, the herd of the field all bear a sign that seed hath been planted there. For it is a decree of the Lord that evry tree fruit or herb bearing seed should bring forth after its kind & cannot Come forth after any other law or principle. Upon the same principle do I contend that Baptism is a sign, ordained of God for the believer in Christ to take upon himself in order to enter into the kingdom of God. “For except you are born of the water & the spirit you cannot enter into the kingdom of God, saith the Savior. As It is a sign or command which God hath set for man to enter into this Kingdom of God those who seek to enter in any other way will seek in vain, for God will not receive them neither will the angels acknowledge their works as as accepted, for they have not taken upon themselves those ordinances & signs which God ordained for man to receive in order to receive a celestial glory, & God has decreed that all that who will not obey his voice shall not escape the damnation of hell. What is the damnation of hell? To go with that society who have not obeyed his commands. Baptism is a sign to God, to Angels to heaven that we do the will of God & their is no other way beneath the heavens whareby God hath ordained for man to come to God & any other cource is in vain. God hath decreed & ordained that man should repent of all his sins & Be Baptized for the remission of his sins. THEN he can come to God in the name of Jesus Christ in faith. THEN we have the promise of the Holy Ghost. What is the sign of the healing of the sick? The laying on of hands is the sign or way marked out by James & the custom of the ancient saints as ordered by the Lord & we Should not obtain the blessing by persuing any other course except the way which God has marked out. Our religion is nothing more nor less than the true order of heaven—the system of laws by which the gods and the angels are governed. Are they governed by law? Certainly. There is no being in all the eternities but what is governed by law (DBY, 1). The Priesthood … is a perfect order and system of government, and THIS ALONE can deliver the human family from all the evils which now afflict its members, and insure them happiness and felicity hereafter (DBY, 130). The PRIESTHOOD ALONE can deliver the human family, not Jesus Christ. That is why Mormonism teaches a false Christ, because the true Christ/God has all power, and MAKES THE LAW, he is not GOVERNED by laws that preceded him for eternity upon eternity. The Gospel of Jesus Christ is the opening avenue—the open gate in the road or way from earth to heaven, through which direct revelation comes to the children of men in their various capacities, according to their callings and standing in the society in which they live. The Gospel of salvation is a portion of THE LAW that pertains to the kingdom where God resides; and THE ORDINANCES PERTAINING TO THE HOLY PRIESTHOOD ARE THE MEANS by which the children of men find ACCESS TO THE WAY OF LIFE, wherein they can extend their travels until they return to the presence of their Father and God (DBY, 6). The laws and ordinances which the Lord has revealed in these latter days, are calculated TO SAVE all the sons and daughters of Adam and Eve (DBY, 1). We may receive the truth, and know, through every portion of the soul, that the Gospel is the power of God unto salvation; that it is the way to life eternal (DBY, 90). All of these quotes can be found on lds.org here. My friend Martin of Brisbane, wrote an excellent essay on how the Mormon God is governed by law for this blog, found here. We accept the fact that God is the Supreme Intelligent Being in the universe. He has the greatest knowledge, the most perfect will, and the most infinite power of any person within the realm of our understanding. . . . Yet, if we accept the great law of eternal progression, we must accept the fact that there was a time when Deity was much less powerful than He is today. Then how did He become glorified and exalted and attain His present status of Godhood? In the first place, aeons ago, God undoubtedly took advantage of every opportunity to learn the laws of truth and as He became acquainted with each new verity He righteously obeyed it. From day to day He exerted His will vigorously, and as a result became thoroughly acquainted with the forces lying about Him. As he gained more knowledge through persistent effort and continuous industry, as well as through absolute obedience, His understanding of the universal laws continued to become more complete. Thus He grew in experience and continued to grow until He attained the status of Godhood. In other words, He became God by absolute obedience to all the eternal laws of the Gospel–by conforming His actions to all truth, and thereby became the author of eternal truth. Therefore, the road that the Eternal Father followed to Godhood was one of living at all times a dynamic, industrious, and completely righteous life. There is no other way to exaltation. Milton R Hunter, The Gospel Through the Ages, Priesthood Manual, p. 114. Shem has been proven wrong once again. Will he ever leave the bubble and accept the truth? Time will tell. This will be the first time in several months that I have responded to anything the Grindal has posted. [Text snipped by moderators] However, I do have to point out a few things here. I do not say this to Grindal, [Text snipped by moderators] I do it to help others see the twists he makes and how he contradicts the very quotes that he gives. Note here that the Priesthood is the divine authority; thus it is the authority of God conferred on men to act in his name. Thus any act of the priesthood carries with it the power of God, as approved of by him. In other words, baptism is the method set up by God by which men signify their faith and willingness take upon themselves the name of God. Thus, this very act is an act set up by God, and must carry with it his divine approval to be considered valid. You see, Grindal and Jaxi keep wanting to end the doctrine with the ordinances. So, by their reasoning, anyone who has had the ordinances performed is saved, regardless of anything else. This is not the doctrine, despite what fools try to claim. Ordinances are required, yes. But they are not required because they themselves carry the power to save a person. They have power only so far as God has given them power, and that is it. They are required because God, in his power and wisdom has decreed that they are the signs that a man must given to prove his faith in Christ, and once that faith is proven then the grace of God saves. This is the meaning of Joseph Smith’s words. God is behind all of it, organizing and directing everything, including the ordinances that are performed. We must conform to his will, which conformity includes ordinances, as he has decreed. The best verse of scripture that illustrates this is Mark 16: 16. In this we see clearly that without faith even the ordinance of baptism avails us nothing, for those who believe not are damned regardless. However, on the other side the ordinance is clearly required, for only one who believes, and then is baptized shall be saved. Don’t let Grindal confuse you with the long quotes that he then misrepresents and misinterprets. Don’t let those who have no understanding of the true doctrine make you think they do. You see, Grindal [spelling incorrect] and Jaxi keep wanting to end the doctrine with the ordinances. So, by their reasoning, anyone who has had the ordinances performed is saved, regardless of anything else. This is not the doctrine, despite what fools try to claim. And WITHOUT THE ORDINANCES thereof, and the AUTHORITY OF THE PRIESTHOOD, the power of godliness is not manifest unto men in the flesh” (D&C 84:17, 20-21). There IS NO POWER OF GOD WITHOUT THE ORDINANCES AND THE PRIESTHOOD. PERIOD, therefore it is the PRIESTHOOD and the ORDINANCES that save, since the Mormon PRIESTHOOD predates ALL of the MORMON GODS. Did the Mormon God “Elohim” (a misnomer of there ever was one because it means “gods” in Hebrew) have the Priesthood BEFORE he was a GOD? NOPE, he ACQUIRED IT, and so acquired the POWER TO SAVE HIMSELF. With the Mormon system of laws and pitiful regulations the atonement of Christ means NOTHING, because it is the PRIESTHOOD that saves, and any ol’ god could (and does do) what the Mormon Jesus did. Happens all the time according to Mormon doctrine. According to Mormons even Satan has his own Priesthood! The dark side, perhaps? NOT JESUS, but the Mormon Priesthood! You have it straight from the mouth of “prophet” Brigham Young, quoted on LDS.ORG. What more proof do you need, lurkers? Shem doesn’t want you to be confused BY HIS OWN LEADERS. This is exactly how they live in the Mormon Bubble. Don’t believe what our “prophets” teach, ignore them, and believe me, the bubble guy, because I can “interpret” it for you better than you can read and comprehend it yourself. Don’t believe what they (my own “prophets”) SAY, believe what I tell you. Notice that Shem can’t explain the quotes, he only tells you to ignore them. So, by Grindael’s reasoning then, for the rest of Christians it is faith that saves and not Christ. After all, without faith one cannot be saved, no matter what Christ does, so in the end Faith has all the power, and thus the grace of Christ is ruled by faith. Let us consider this: A wealthy man wants to help the poor gain a good education. For this he sets up a scholarship that they can apply for and gain that will pay their tuition in full. In order to gain this scholarship the applicants must turn in an application detailing the reasons for them gaining this education. Once they are in school they must maintain a GPA of 3.0 or better, and not violate the rules of the school. If any of these condition are not met the scholarship is revoked and any money previously given must be repaid. In this situation where does the money com from? Does it come from the student maintaining a GPA of 3.0, or from the student following the rules of the school; or does it come from the wealthy man who set up the scholarship fund and maintains it through his own finances? Do the students say that their GPA or compliance with rules is their benefactor; or do they recognize the beneficiance of the man who is providing the money and opportunity that they are enjoying? Let us make the situation even more complex and say that the man sets different requirments for different students. One who is obviously slow at learning only needs to maintain a 2.0 GPA, while one who is truly brilliant requires a 4.0. Then, let us consider that after each year the man goes back and examines the work of each student, and then alters the requirements based on the ability they have shown. With this, again ask where the money comes from and who is the benefactor. According to Grindael and Jaxi the obvious answer is that the required GPA and rule compliance is what provides the money, and is thus the benefactor of the students. The absurdity of this logic is plainly seen, as one can instantly tell that the man is proving the money and is controling the requirements for aquiring it. He is behind everything, and no student, regardless of what they do, gets any money without his approval. This is the same as the gospel. Maintaining that GPA can be likened to our basic works in righteousness, while complying with the rules is like the ordinances of salvation. Regardless of any of this, God is still the source of all grace and only through him will we receive any blessing. Of course, Grindael paints a picture of the words of Prophets that so obviously distorts them that it is surpising that he can tell who he is quoting at times. Without the ordinances the power of God is not manifest, for the simple reason that God has decreed this to be so. He has declared that his power will not be manifest among men unless they first comply with the laws and ordinances that he has laid out. Just as the wealthy man decided that no one was going to receive any money who did not first comply with the rules of the school. Priesthood is the only thing that can deliver man from trials and evil. Why? Because the Priesthood is the power of God to act in his name. It comes from him and is granted to men. Without the power of God in our lives how can we hope to combat the evil that surrounds us? Just as only the money could pay for the education, which money came from the man. Now, Grindael is right in one thing, though even in this he gives a false understanding. There are laws that God is governed by; but it is because of this that we may have confidence in his grace and power to save. For instance, God is perfectly just. He cannot be unjust. Such a thing would be impossible. He is governed by the law of Justice. Because he is governed by this law we can trust that everything he does is just, even if we cannot see the justice in it at this time. God also follows the law of truth. He cannot lie, nor can he make a lie truth, or the truth a lie. He is governed by this law. Because he is governed by this law we can have a perfect assurance that all he tells us is true, and have no fear that he might give false or misleading information. There are laws that God is governed by; but not the laws that Grindael wants to claim. He is not governed by the Priesthood. Rather he governs the Priesthood according to those laws that he is governed by. Thank you for stepping in. I have been camping the last few days and have had limited internet access. I appreciate your comments, you said it better than I could have myself. <"So, by Grindael’s reasoning then, for the rest of Christians it is faith that saves and not Christ. After all, without faith one cannot be saved, no matter what Christ does, so in the end Faith has all the power, and thus the grace of Christ is ruled by faith." God won't save someone who doesn't want to be saved. That would be not giving us free will. Faith is us turning towards God. So faith saves us in that we have to take action in accepting the free gift. In regards to your GPA/scholarship analogy. We are saying that the benefactor provides the reward. The benefactor even has power to provide financial assistance to someone outside of the scholarship applicants. He can do whatever he wants. If he sees a kid that didn,t apply and wants to assist, there is no stopping the benefactor. Mormonism states that only through rule compliance can you recieve the reward. The benefactor is powerless to render aid outside of the scholarship applicants. Yes, that's absurd. Mormonism is absurd. "Without the ordinances the power of God is not manifest, for the simple reason that God has decreed this to be so. " Not really. Mormon prophets decreed it to be so. And even if I assumed that the Mormon God did decree it, that's not true. Mormon God did not create the ordinances. He lives and obeys them himself because he needed to in order to become exalted. So the priesthood governs the Mormon God, and not the other way around. If the egg is the ordinances and the Mormon God is the chicken, than the egg always come before the chicken. But does the chicken ever come before the egg? Is there a Mormon God that actually created everything, even laws and ordinances, even the priesthood? And if so, why isn't he worshiped? <"Priesthood is the only thing that can deliver man from trials and evil." According to Mormonism, yes. Is that Biblical? nope. <"There are laws that God is governed by…"
Thank you for stating this. Mormon God is governed by something other than himself. Not all powerful. The laws are all powerful. Mormons should worship their laws. "…because of this that we may have confidence in his grace and power to save." Mormons have confidence that their God can save because he is governed by laws. Thank you for making my point. The laws save you. Your confidence in God comes from obedience to laws, not in His person. <"God is perfectly just. He cannot be unjust. Such a thing would be impossible. He is governed by the law of Justice. Because he is governed by this law we can trust that everything he does is just, even if we cannot see the justice in it at this time.."
I really hope people read this and comprehend the major difference. Mormon God is governed by justice, he is not the one with authority, the laws are. Christian God has a perfect nature. Justice, Mercy, love, perfection, and so forth come from Him. God is the only source. He isn't governed by those things. That is who He is. God is not governed by love. He is love. We trust in Him because of who He, God, is. We trust in His perfect nature. Christian God is eternally God. Mormon God, is not eternally God. The laws that govern Mormon God are eternal. The laws become a God for Mormons. Laws are the God that the Mormon God follows. So Mormons should worship their law. Just because a Mormon doesn't want to say a law is God because they think that sounds crazy (and it is) doesn't mean that is not how the Mormon system works. <"He is not governed by the Priesthood. Rather he governs the Priesthood according to those laws that he is governed by." "That he is governed by," exactly. Mormon God has authority because he obeys authority. when does this nonsense end? I love when you make statements like the above Shem. Most people that read that can see how fake the Mormon God is. I really hope people read this and comprehend the major difference. Mormon God is governed by justice, he is not the one with authority, the laws are. Christian God has a perfect nature. Justice, Mercy, love, perfection, and so forth come from Him. God is the only source. He isn’t governed by those things. That is who He is. God is not governed by love. He is love. We trust in Him because of who He, God, is. We trust in His perfect nature. Christian God is eternally God. Mormon God, is not eternally God. The laws that govern Mormon God are eternal. The laws become a God for Mormons. Laws are the God that the Mormon God follows. So Mormons should worship their law. Just because a Mormon doesn’t want to say a law is God because they think that sounds crazy (and it is) doesn’t mean that is not how the Mormon system works. How then can Shem write that by my reasoning… “it is faith that saves and not Christ.” He says, “no matter what Christ does”. Huh? Christ DID everything! He is everything! It is his NAME that saves. It is HIM, HIM, HIM, that saves. It is not some PRIESTHOOD that saves, (as Jo & Brigham Young taught) it is belief in Jesus. Our faith does not change God’s Grace. It is always there, and up to us to accept it. The problem with this logic is that this is not what Brigham and Jo are talking about. They say that the PRIESTHOOD SAVES. Jesus NEEDED THE PRIESTHOOD to save himself. 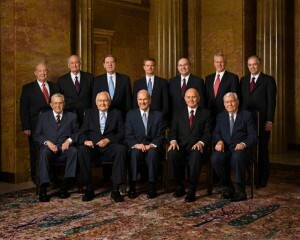 Jesus is RULED by the LAWS of the Mormon Priesthood. So how does this apply to Mormonism? Do some get to keep PART of the Word of Wisdom because they are weak? Do some get to only pay partial tithing? This analogy is ridiculous, and there is nothing in the Bible that says that God sets different rules for everyone. Grace is FREE folks. There IS NO MONEY, or anything you can do to EARN IT. This is the whole problem with Shem and Mormonism. They keep thinking you can EARN what is FREE. No, not according to “grindael & Jaxi”, according to Shem. He is just writing scenarios and then acting like we would accept some absurd conclusion he made. The fact is THERE IS NOTHING REQUIRED TO GET THE FREE GIFT OF GRACE, except BELIEF IN THE NAME OF JESUS. PERIOD. What comes after, is dictated by God’s spiritual influence on the life of the individual. Not following man made “regulations” dictated by a phony Priesthood that even God himself must bow down to. Notice that Shem put THE WORKS FIRST, and THEN THE GRACE. He again, has it exactly BACKWARDS. Once again, the words are there in black and white. THE PRIESTHOOD ALONE can deliver the human family, OUR RELIGION is the “true order” of heaven, A SET OF LAWS by which the gods are governed. THE PRIESTHOOD IS THE PRINCIPLE OF SALVATION. Not Jesus. And notice that Shem just can’t accept the quotes for what they say. He has to denigrate me for posting them. No, Mormon “prophets” have decreed it is so. This is found NO WHERE in the Bible. Where does Jesus say, (or his Apostles) that you must first COMPLY with a set of regulations BEFORE you can benefit from his GRACE? NOWHERE. That would be BUYING GRACE! I died for you says Jesus, and if you believe on me, you will be saved. It’s a free gift from me! But wait, read the fine print. It’s really a scam because it’s not free. You must comply with all these rules BEFORE I can save you, because I have no power without the laws I’m governed by. All my apostles that I personally chose lied (along with me) by telling you my Grace was a free gift, but thank goodness Jo Smith came along and set it all straight. Good thing Jo was there to correct me (Jesus) and my chosen apostles! The ORDINANCES do not SAVE YOU, JESUS DOES. In Mormonism it is THE PRIESTHOOD and the ORDINANCES that SAVE, because until you obey the regulations of Jo and Brigham, God is useless to you. It is GOD that delivers us. THE HOLY SPIRIT. It is not the PRIESTHOOD. Shem just affirmed that what his leaders said was true. THANK YOU SHEM. When you are tempted, do you say, “PRIESTHOOD SAVE ME”? No. It is GOD that saves, and Jesus IS GOD. It is not God THROUGH Priesthood, because there is only one mediator between God and Man and that is JESUS. Now, Grindael is right in one thing, though even in this he gives a false understanding. There are laws that God is governed by; but it is because of this that we may have confidence in his grace and power to save. For instance, God is perfectly just. He cannot be unjust. Such a thing would be impossible. He is governed by the law of Justice. Because he is governed by this law we can trust that everything he does is just, even if we cannot see the justice in it at this time. God also follows the law of truth. He cannot lie, nor can he make a lie truth, or the truth a lie. He is governed by this law. Because he is governed by this law we can have a perfect assurance that all he tells us is true, and have no fear that he might give false or misleading information. There are laws that God is governed by; but not the laws that Grindael wants to claim. He is not governed by the Priesthood. Rather he governs the Priesthood according to those laws that he is governed by. Anyone who believes in Jesus knows that God is just and truthful. Duh. But this shows that you do not understand God. Look up the word Sovereign in connection with God, genius. What we know about God we know from his revealed WORD, THE BIBLE, not from Mormon Pseudapigrapha written by Jo Smith & Brigham Young. Shem says that There are laws that God is governed by; but not the laws that Grindael wants to claim. He is not governed by the Priesthood. Rather he governs the Priesthood according to those laws that he is governed by. “When we talk of the celestial law which is revealed from heaven, that is, THE PRIESTHOOD, we are talking about THE PRINCIPLE OF SALVATION, a perfect system of government, of laws and ordinances, by which we can be prepared to pass from one gate to another, and from one sentinel to another, until we go into the presence of our Father and God.” (DBY,130, emphasis mine) Our religion is nothing more nor less than the true order of heaven—the system of laws by which the gods and the angels are governed. Are they governed by law? Certainly. There is no being in all the eternities but what is governed by law (DBY, 1). 5 Why, because of your hard and unrepentant hearts, you’re saving up a treasure of rage upon yourselves in that Day of fury when the righteous decisions of God will be seen. 6 Then, He’ll pay everyone back for the things that they’ve done. 7 For those who do good things and are searching for age-long life; there will be glory, honor, and incorruption. 8 But for those who like to argue and disobey the truth by being unrighteous; there will be wrath, anger, 9 and some very hard times. Yes, this will come into the life of every man who works at doing bad things – for the Jew first, and then for the Greek. 10 But there is glory, honor, and peace for all those who work at doing what’s good – for the Jew first, and then for the Greek – 11 because, God is impartial.12 Indeed, all those who are without the Law and who sin, will perish without the Law. Likewise, those who are under the Law and who still sin are judged by the Law. 13 So, those who just listen to the Law aren’t deemed righteous before God; only those who obey the Law will be found righteous. 14 But, whenever people of the nations who don’t have the Law naturally obey things in the Law, they not only have the Law, they are the Law! 15 For, when they obey the Law, they show that it’s written in their hearts, and it works with their consciences there and examines their thoughts. Then [their own hearts] will either accuse them or defend them 16 in the Day that God judges the hidden things of men by this good news that I’m preaching (through the Anointed Jesus).17 Now, if you are called a Jew and you’re resting on the Law and taking pride in your God; 18 and if you understand His Will and all the excellent instructions of the Law; 19 and if you think that you’re a guide to the blind and a light to those who are in darkness 20 (someone who can instruct the unreasonable and teach babies); and if you fully grasp the knowledge and truth in the Law; 21 then, do you, [the one] who teaches others, also teach yourselves? And you who preach, Do not steal… do you steal? 22 And you who teach, Do not commit adultery… do you commit adultery? And you who are disgusted with idols… do misuse sacred things? 23 And you who take pride in [God’s] Law… do you dishonor God by breaking the Law? 24 For, it is written: ‘God’s Name is being blasphemed among the gentiles because of you people!’25 Now, circumcision is good… as long as you obey the Law. But if you’re a person who breaks the Law, your circumcision has become uncircumcision. 26 And if an uncircumcised person obeys the righteous requirements of the Law, won’t his uncircumcision be considered circumcision? 27 So, if those who are uncircumcised naturally obey the Law (except for what it says about being circumcised), they’re really judging those of you who break the Law.28 Therefore, being a Jew isn’t something that can be seen; for, [true] circumcision isn’t something that can be seen in the flesh. 29 Rather, being a Jew is something within you; because, circumcision comes from the spirit of the heart, not from something that’s written… it’s not there to be praised by men, but by God! This is why there is no need for a Mormon Priesthood, baptism for the dead, dead ordinances and rules and regulations. With spiritual rebirth comes a law that is written on the heart, love God and your neighbor. This is something, as Paul states “that can’t be seen”, it comes “from the spirit of the heart”, not from something that’s written, not from regulations, rules, works, or some mythical priesthood. God is God. He is a law unto Himself. He is not Governed by an outside set of laws like the Mormon Priesthood. The sovereignty of the God of Scripture is absolute, irresistible, infinite. When we say that God is sovereign we affirm His right to govern the universe, which He has made for His own glory, just as He pleases. We affirm that His right is the right of the Potter over the clay, i.e., that He may mould that clay into whatsoever form He chooses, fashioning out of the same lump one vessel unto honor and another unto dishonor. We affirm that He is under no rule or law outside of His own will and nature, that God is a law unto Himself, and that He is under no obligation to give an account of His matters to any. Mormons have God subject to a set of laws that preceded him, the Mormon PRIESTHOOD. That god is NOT SOVERIGN. Shem just doesn’t get it, because he listens to false prophets who have taken men back to the law of Moses and condemned themselves by their own rules and regulations, which NO ONE CAN EVER LIVE UP TO. If you want GRACE, it’s FREE. If you want WORKS, you have the LAW, but break ONE RULE or ONE REGULATION and YOU ARE CONDEMNED BY THE LAW. This is the impossible Mormon “Exaltation”. It’s a fantasy. You can’t have both, because only “God judges the hidden things of men,” not the Mormon Priesthood. Again you have no understanding of LDS doctrine, and your attempt to twist my analogy only shows this clearly. And this is exactly what I am saying regarding ordinances and the Priesthood. Get this through your head. Ordinances save us in that we have to take action to accept the gift that God gives, and that action is the ordinances that he has decreed. Your logic is twisted and applies a double standard. And that is what I am saying, if you care to actually pay attention. This is what the LDS church teaches. Accept his own integrity and honesty. That is the point you are missing. In the analogy, for the man to give the scholarship to someone who has not complied with the stated requirements would be unjust, making the man partial in his judgment. God has decreed that this is the way to salvation. If he were to allow anyone salvation through any other method he would no longer be just or trustworthy. Now, if the man wanted to help someone else who had not applied he can go to that person, talk to them and tell them what needs to be done. He can even assist them in filling out the application, and then provide tutors at the school to help them maintain their GPA. But if he were to work outside the system that he had set up he would be unjust. See above. The Benefactor is not powerless to render aid outside the scholarship; but in his own integrity and justice he chooses not to so as not to be biased in his judgments. You don’t understand what power is, do you? Laws never have, and never will have power. Only sentient intelligent beings can have power. For instance, where is the power in Newton’s laws of motion? There is none. The laws simply exist. The power is in the object that operates according to those laws. Even in legal matters, the laws has no power in itself. It is when a person operates according to the laws that they have power in the legal system. In the eternal worlds laws and power work in the same way. God has the power because he operates within the laws. The laws themselves have no power to do anything. Take the laws I mention: What power is in the Law of Justice? What has that law ever done? It has never done anything. However, God, acting according to that law, has done great things, and continues to do great things. God is all powerful; in other words, he has all power that it is possible for him to have. He has this power because he operates in compliance with eternal laws. And here is your major problem; the thing that causes all your doctrine to collapse. If God is the source of justice, than what stops him from decreeing that one act is just today but not tomorrow? If his is the source of these things than there is no true perfection, and he can alter them as he chooses, and thus what was perfect at one time is no longer perfect at another. You God is a logical impossibility. By its very nature is is something that cannot be fully trusted. This is the biggest difference, and it is something that makes the true God so much more glorious. Our God can’t be unjust; not because he determines what is just and what isn’t, but because he follows the laws of justice. Most people who read this are already blinded by the false traditions of men to the point where they couldn’t recognize the light of truth if it shown in their eyes. I am righting this for the benefit of those who are not so blinded, but are honestly looking. They will see the truth in this. God is unjust if he doesn’t work inside of some guidelines that some Mormon prophet made up? Faith is me accepting the gift. An LDS ordinance is not the same thing. Im sorry if you cant get that through your head. I have faith in Christ and that He has the power to save me. I love God with all my heart. All I want is to be with Him. I know my heart and God knows my heart and I know He will save me because He is merciful and good. The point is there is nothing you can do to deserve anything that God gives you. There is no GPA, application process, blah blah blah. You are unworthy. I am unworthy. Everyone who has ever lived is unworthy, aside from the Savior. If God was truly just he would just leave us all in our fallen state. But He is merciful. With all your talk about justice, you have definitely forgotten mercy. We are all the prodigal son. we have all squandered our inheritance. All God wants is for us to turn to Him and he will accept us. The prodigal son didnt have to go through an application process. Your application thing is so silly. Lets compare it to baptisms for the dead. One person didnt fill out their application. Someone did it for them. They still get the money. That’s what we are talking about with baptism for the dead, is it not? A nun or monk devotes their life to God. They spend all their life in prayer and service. But God denies them life with Him? Is that just? Is it merciful? The only way they achieve life with God is through accepting work that someone else does for them. All they have to do is accept. Nothing else but that. Do they have to accept Christ? They already did that, so thats not the answer. What they are really doing is accepting an ordiance. Is their faith in the power of God or is it the power of an ordinance? Seems like the amswer is ordinance if anyone steps out of the Mormon Bubble and actually looks at it with a clear perspective. The person that did the work for me that I have to accept is Christ and Him alone. Shem, are you seriously asking if my God is the source of everything than what would stop Him from becoming wicked? Seriously? God isn’t human. He is not trying to figure out who He is. If any god has demonstrated to the world how fickle he is that would be the Mormon god. God doesn’t change the standard of perfection He only has one nature. wickedness is against his nature. We know from scripture that God doesnt change. I trust God and believe Him when he says that He doesnt change. You are trying to make the Christian God human. He is not and therefore not subject to human frailties. Who makes rules and laws? Intelligent, conscious beings do. Who made the rules and laws that Mormon god follows? Were the laws and rules created by a being? If not, than those rules and laws are the ruling authority. What happens if Mormon god breaks the rules and laws? Do the rules and laws come and punish Him? Or maybe a Mormon god created the rules and laws for himself. Why would he need to do that? Does he need to put up boundaries because he does have a nature that has potential to sin? Since he is progressing than how does he know that he has reached perfection? If Mormon god created the rules and laws than could he change them? What would stop him? What happens if he breaks the rules and laws? Who comes and punishes him? Who is the real being that hands out punishments to all the Mormon gods if they work outside the boundaries? Sorry Shem. it’s your doctrine that collapses. Your gospel isn’t founded on a perfect, eternal God. that’s a big problem. I need to make a correction to something I said above. Christ is fully God and fully human. When I said, “You are trying to make the Christian God human.” I meant a fallen man. Shem, is trying to portray the Christian God as being subject to the same weaknesses of character as we are in our fallen state. I did not mean to imply that Christ was not fully human. The triune God is not a man. This is simply a ridiculous analogy, and NOT what Mormon “prophets” teach. Priesthood is POWER TO ACT. It is ALSO a “system of government of laws and ordinances” which all Mormon gods ARE SUBJECT TO. Without it, no Mormon god or anyone else can act, PERIOD. Where is the power in Newton’s laws of motion? Scientific laws explain things, but they do not describe them. For example: Consider Newton’s Law of Gravity. Newton could use this law to predict the behavior of a dropped object, but he couldn’t explain why it happened. An analogous term for a scientific law is a principle. Since you claim that the priesthood is only “law”, then when someone lays their hands upon someone else, they should ALWAYS be healed. When you say, “mountain be moved”, it should be moved, because that is how LAW works. If I put a flame to water it will ALWAYS BOIL. That is a law. If God operated strictly according to LAW, then everyone would be healed, everyone would be raised from the dead, everyone would get every thing they asked for. But God is SOVEREIGN. He decides WHEN and IF He will bless someone. HE is ABOVE the LAW. Mormons want to have it both ways. “But our God is in the heavens: He hath done whatsoever He hath pleased” (Ps. 115:3). He sovereignly chose to place each of His creatures on that particular footing which seemed good in His sight. He created angels: some He placed on a conditional footing, others He gave an immutable standing before Him (1 Tim. 5:21), making Christ their head (Col. 2:10). Let it not be overlooked that the angels which sinned (2 Pet. 2:5),. were as much His creatures as the angels that sinned not. Yet God foresaw they would fall, nevertheless He placed them on a mutable creature, conditional footing, and suffered them to fall, though He was not the Author of their sin. Now God did not place Adam upon a footing of conditional, creature responsibility, because it was right He should so place him. (As Mormonism teaches) No, it was right because God did it. God did not even give creatures being because it was right for Him to do so, i. e., because He was under any obligations to create; but it was right because He did so. God is sovereign. His will is supreme. So far from God being under any law of “right,” He is a law unto Himself, so that whatsoever He does is right. And woe be to the rebel that calls His sovereignty into question: “Woe unto him that striveth with his Maker. Let the potsherd strive with the potsherds of the earth. Shall the thing say to Him that fashioned it, What makest Thou?” (Isa. 45:9). But you said law has not power! So how could God get power by the law? Justice is NOT a LAW, it is a PRINCIPLE. But what is Justice to God? Whatever he pleases! But according to Mormonism, he MUST procreate, he MUST practice polygamy, He MUST be married, He MUST pay tithing, He MUST do everything that Mormons HERE DO, because that is THE LAW OF THE PRIESTHOOD. It’s SIMPLY RIDICULOUS. Here again though, you tell us the truth, >God has the power because he operates within the laws. Right on. That is what Mormonism teaches that God is subject to LAW, or the PRIESTHOOD. Therefore, the Mormon God is NOT SOVERIGN, he HAS to be subject to LAWS that preceded him. This is NOT the God of the Bible. This is a LIE, because Mormon “prophets” teach that your God is ALWAYS LEARNING, ALWAYS PROGRESSING, and NEVER HAS ALL POWER. He is subject to ALL THE GODS THAT CAME BEFORE HIM, and THEY TO THE PRIESTHOOD. You yourself said it again. Who made those eternal laws? Not your God “Elohim”. He is SUBJECT TO THEM, therefore, he is NOT ALL POWERFUL. “But who are you man, to answer back to God? Will what is molded say to the molder, ‘Why have you made me thus?’ Has the potter no right over the clay, to make out of the same lump one vessel for beauty and another for menial use?” (Rom 9:20-21). The prophet Isaiah uses the same analogy to warn, “Woe to him who strives with his Maker, an earthen vessel with the potter! Does the clay say to him who fashions it, ‘What are you making?’ or ‘Your work has no handles’” (Is 45:9). God does no injustice when he gives to some people certain gifts which he does not give to others. We are reminded of the parable of the owner of the vineyard who gives to those hired during the last hour the same pay as those hired early in the day. When those hired early begin to complain, the master of the vineyard says: “Friend, I am doing you no wrong… Take what belongs to you and go. I choose to give to this last as I give to you. Am I not allowed to do what I choose with what belongs to me? Is your eye evil because I am good?“(Mt 20:13-15). We are God’s creatures, his creation. We are not his spirit babies that have every right to what all the gods for eternity have had before. This is what Mormonism teaches. The Mormon God is subject to the Mormon Priesthood a set of rules and regulations that LIMIT who and what God is. The Christian God truly has all power because he can do what he pleases and is governed by no law but his own. You may not like it, but that is what the Bible teaches. LOL. We are teaching what the Bible says. You are making it up as you go along. This is not “tradition”, it is what the BIBLE SAYS. Keep talking Shem, you are showing how the Mormon God is not a Soverign God, but one bound up in laws made up by Jo Smith. I’m kind of done with this topic. I have absolutely no interest in having any discussion with you. You are incredibly condescending. The things you teach about God make me sick to my stomach. I know my God, and I cannot believe the blasphemy that you teach. The heresy that you try to say my God teaches. It is appalling to anyone who knows the True God. Since, you are always so insistent on having the last word, you can’t have it. I will not even be checking this post again. I am sure you will try to attack my intelligence, or understanding, or portray me as thick skulled, or blinded, or following the counsels of men, or something to try make me sound as if I shouldn’t be trusted as you have done throughout these posts. All I know is that I was spiritually starving in Mormonism. Since leaving and finding the true Jesus Christ, I am full. He loves me. I love Him. He will save me because that is what He came to do and my only desire is to be with Him. He has reached down to me and I am running to Him. I am the prodigal son (or daughter in my case). I’ve come home and my Father is waiting with open arms. 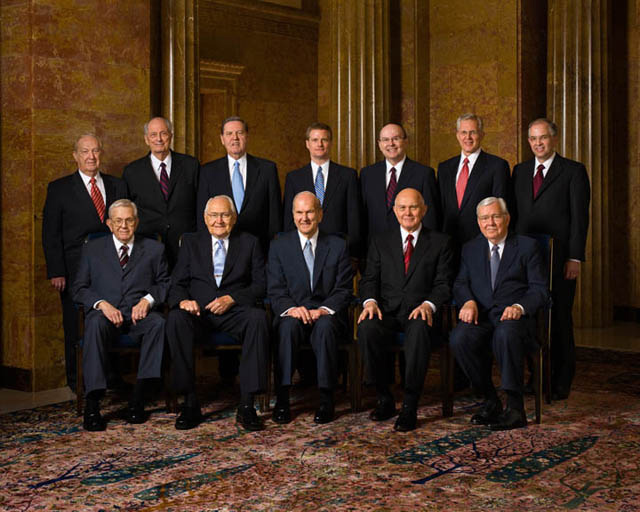 Mormon priesthood is a power trip created by men. It is snake oil in a bottle. Christ is accessible to all. There is no application process. Applications are for high ups that don’t know you and try to get to know you through your works and pass judgement on you if you are good enough. There is no application process for a relationship with Christ. He already knows you and your heart. Christ is so much more accessible than Mormonism claims. Personally, I don’t mind ending the conversation. It has become tedious. Of course, I am not the one attacking people, as you claim. That is what you and Grindael have done. I will, however, leave it here. However, I will point out one thing to other reads. In all that Jaxi says she has basically denied Justice in all its forms, in favor of mercy. She has claimed that I ignore mercy, which is not true, but she ignores justice. She even states “If God was truly just…” indicating that she doesn’t really believe he is just, but rather that his mercy robs his justice. This is something that cannot be true, as the Bible declares that God is just, and that he cannot be unjust. It is only in the true church and gospel as found in the LDS church that you will find God taught as being both just and merciful. Just, because he meets out a just reward for our works; and merciful because he has prepared the way, through his Son Jesus Christ, for us to be redeemed and become worthy to return to him. I have been a Mormon all my life, and I have found great spiritual truth in its doctrine, which has lead me to know and understand my God. I have felt him near me, and have felt his love and his approval of what I have done at times; and his sorrow and disapproval at others. But, like a good parent, he is always there, ready to help me and guide me back to him. This is like arguing that it is the wooden cross that saves people, not Christ. It is the atonement of Christ that saves all humanity. But there is a mechanism and process by which that atonement is applied to humanity. And the priesthood ordinances are a part of that process that Christ has set forth. When reading about the “spiritual truth” that Mormons claim comes from their doctrine, one must contemplate the teachings, the failed prophecies, and the example set by those that were the foundation of Mormonism, Jo Smith & Brigham Young. One must take into account that Jo taught that God was merely an “exalted man”, who was never God for all eternity, is only one in a long line of self aggrandized gods, and that Jo kept changing this throughout his life. Brigham took it a step further and taught that Adam from the Garden of Eden was actually their God, and that he constantly peopled worlds with “spirit children” then went to those worlds, ate mortal food and then became mortal again, and sinned so he could “fall” and then have his first born spirit son die a horrible death to make this all right. This goes on forever, and goes back forever. This is the Mormon “Plan of Salvation”. It is full of racism, lies, and inconsistency. Shem of course, claims that he is attacked, yet denigrates Jaxi on his way out of the thread. Is this “spiritual”? Shem has called everyone who doesn’t agree with his wrong interpretation of Mormonism liars, and that they have purposefully “twisted” the truth of it’s teachings, when all that is done here is to quote his own leaders. Take note Lurkers, when you read what Shem writes to check the facts yourself because his version of Mormonism can’t be trusted. The Bible says what it says, but Shem doesn’t care about that, he only cares about promoting his own interpretation of it, which is diametrically at odds with what it actually says. Read the Bible for yourself. Then read what Jo and Brigham taught. This is the only way to find out the truth about Mormonism. You said, “It is therefore, the Mormon Priesthood that saves, and is the intercessor between God and the believer, for without it (NOT JESUS) no one can be saved.” This is like arguing that it is the wooden cross that saves people, not Christ. It is the atonement of Christ that saves all humanity. But there is a mechanism and process by which that atonement is applied to humanity. And the priesthood ordinances are a part of that process that Christ has set forth. “When we talk of the celestial LAW which is revealed from heaven, that is, THE PRIESTHOOD, we are talking about THE PRINCIPLE OF SALVATION, a perfect system of government, of laws and ordinances, by which we can be prepared to pass from one gate to another, and from one sentinel to another, until we go into the presence of our Father and God.” (DBY,130, emphasis mine)Our religion is nothing more nor less than the true order of heaven—the system of laws by which the gods and the angels are governed. Are they governed by law? Certainly. There is no being in all the eternities but what is governed by law (DBY, 1). THE PRIESTHOOD … is a perfect order and system of government, and THIS ALONE can deliver the human family from all the evils which now afflict its members, and insure them happiness and felicity hereafter (DBY, 130). I didn’t say it. Brigham Young did. God is then GOVERNED BY THE PRIESTHOOD. The PRIESTHOOD is the “PRINCIPLE OF SALVATION”, NOT JESUS. Did the Mormon God “Elohim” create the Priesthood? Nope. He is GOVERNED BY IT. Problem is, in Mormonism Christ didn’t “set forth” the mechanism. It was in place long before he came into being. The LAW of the Priesthood dictated the atonement, not for the one time sin of Adam, but the continuing sins of endless Adams that die every time a world is created and then there must be a “Christ” to atone for the original PURPOSEFUL sin of those Adams. What kind of sense does this make? You can’t find this in the Bible, only in Mormon Pseudepigrahpa. There is no power in the cross? Is that not the sign of Christ and the atonement to the Christian world? To say there is no power in it is a little surprising. But the issue is that from your perspective, the Priesthood has no power. That is what you are arguing. God created the universe by some means. To insist that He did not use the Priesthood seems arbitrary to me. You guys are insisting that there was no medium or instrument by which He achieved that creation. And I think this is an argument from silence on your part. The Priesthood is inherent in God and His personality. It cannot be separated from Him. To do so is like trying to separate God from virtue, or integrity, or intelligence. It seems like such a weird thing to me. We know that Christ is the “Great High Priest.” He is the Great Melchizedek Priest. And as such, He holds a Priesthood. How is it a stretch to believe God the Father holds Priesthood? There is no power in a cross made of wood. There IS POWER in the SYMBOLISM OF THE CROSS OF CHRIST. But I’m sure you knew this. This does nothing for your argument though. This is called erecting a straw man. No I’m not. I’m arguing that Brigham Young taught (as a PROPHET of God, his “Oracle”, his “mouthpiece”) that the Priesthood in Mormonism is what saves, nothing else. He said it, more than once, and so did a lot of other Mormon “oracles”. Was the Priesthood “inherent” in you? Nope. Just as it was not “inherent” in your God “Elohim” now. He was born on a world and “acquired” it. That is what your church teaches. And yes, it is a weird thing. Jesus has this office permanently because he sacrificed Himself for us. He is not like the Levites, who had to continually be replaced. He did not attain this status of Great High Priest until he died for us, was resurrected and entered the Heavenly Sanctuary. The Mormon Priesthood is a “system of laws” that SAVE. For Christians it is Jesus and his SACRIFICE that saves. Stop ignoring what Brigham Young teaches and is posted on lds.org. That is what is continually happening here. You are stretching a great deal in trying to claim we believe it is actually the Priesthood which saves independent of all other things. And this is simply not true. It is the atonement of Jesus Christ by which salvation is possible. Without that, no degree of salvation is possible. But Christ’s atonement is applied through means and instruments. To argue otherwise is to argue that Christ’s atonement should apply equally to all people on earth- in other words, that all people are saved completely. And I don’t think you would argue that. A person can argue that it is all a matter of faith in Christ by which he or she is saved. But that is still a salvation that is dependent upon some means or instrument- faith. I simply disagree in the criteria by which a person qualifies for salvation. Your argument is like insisting that a spark plug (old models) is really what makes a car propel itself independent of all other considerations. You would be neglecting almost all of the components of an internal combustion engine with this claim. A spark plug is one piece among many in the mechanism by which a car is propelled through space. Your comments about Jesus and the Melchizedek Priesthood are completely beside the point. Jesus has a Priesthood. That is the point. And with that Priesthood, Christ acts and saves and creates and blesses. It is a vehicle (no pun considering the above analogy) by which He does certain things. And God the Father also has Priesthood. Yes- Christ is the atoning one. He is the only means by which salvation is possible. But He saves us through His own system and process. And that system and process involves servants, Priesthood, and ordinances. Otherwise, you insist that Christ contradicts Himself when He told His disciples that whosoever receiveth them receiveth Him. He was including them in His process and system. I am not ignoring Brigham Young. I am providing some context for His statements. No I’m not “stretching”. Here is why. Because of what Brigham Young taught explicitly. It is the PRIESTHOOD THAT SAVES. PERIOD. Answer these questions truthfully. Does it predate Christ? Was Christ powerless without it? Is Christ governed by law? What law? Who made this law? Where did the Priesthood come from? What is the Priesthood, exactly? How did Jesus use the Priesthood to create? Why did he need a Priesthood to create? Is the Mormon God “all powerful”? If so, why is he subject to laws that precede him? Is he Sovereign? If so, why did he have to come to an earth, get the priesthood, marry and go through all of the rituals that Mormons go through today? If Jesus did not have the Ordinances of the Prieshood was His own salvation possible? Which Mormon God FIRST “held” the Priesthood, and where did He get it from? What “means and instruments”? Name them and how they apply to the atonement. You think they need works, rituals, regulations and the priesthood. I get that. But grace is a free gift. You don’t need any of that, only your belief in Jesus, and the transformation of your spirit by the Holy Spirit makes you into a new person that does good works. There are no “regulations” in the Gospel of Jesus. Faith comes by hearing the word. It is not a “work”. That is simply a red herring that Mormons love to repeat over and over. It is Brigham Young that is making this claim, because he says that without that “spark plug” NO ONE CAN BE SAVED. And here you are saying that there are “components” that make God work. That is hard to fathom. (But thank you, that is also what Young says — because the Priesthood encompasses those ‘components’) So without some set of “laws” God can’t operate? He is not Sovereign then, to you. Ok.
No, God the Father doesn’t. Where is that in the Bible? Christ is the Great High Priest. The Father is the invisible God and Jesus is God incarnate and the DESIGNATED HIGH PRIEST for mankind, because of His sacrifice for us, and was not designated so until after he entered the Heavenly Sanctuary. Jesus actually said, “Anyone who welcomes you welcomes me, and anyone who welcomes me welcomes the one who sent me.” That is because his disciples TEACH HIS MESSAGE, not that they have some priesthood that Christ has. You entirely ignore the Bible which states that Christ was, is and only could be the ONE AND ONLY HIGH PRIEST of the ORDER OF MELCHIZEDEK, because he was DESIGNATED BY GOD to be so BECAUSE OF HIS INDESTRUCTIBLE LIFE. You pushed this aside, because in Mormonism, this cannot be answered. No bother with it. Grindael will never listen to anything you say. I have been over it in the past with him, and it all comes down to he is right because he says so, and any argument to the contrary just proves how horridly blind we are. It is the Mormons who don’t listen to their own “prophets”. Shem “has been over it in the past” by ignoring what Brigham Young and Jo actually say, and then claiming that they didn’t really say it. Let’s let the quotes speak for themselves shall we, because they do. And you are calling yourself “horribly blind” Shem, I never used the term. Still making it up as you go along, I see. This appears to be obfuscation by Shem, reading these replies for the first time. This seems to be a common tactic, very evasive, by Mormons. I find it very discomforting and is a reason why I could never be convinced by Mormons. It feels like they won’t level with you, try to keep you guessing, great you as if you’re not capable of handling what it is that they actually teach, or that they’re protecting something for some reason. My question is, if Elohim was and is just a man now exalted who has to obey the priesthood laws and is himself eternally progressing, then who was the original Lawgiver of the priesthood ordinances? I’d much rather worship that God than some intermediate guy who used to be an average Joe on some other planet in some other universe. That, and also, does that mean that Mormons teach that there are multiverses, that is, that when you are exalted you get to create your own universe of everything where you are sovereign? Because that’s what it sounds like. Read those quotes again. You will not find a single one that says that God is ruled by the priesthood. Since it is Grindael’s, and apparently your habit, of taking select quotes and claiming to be experts in our doctrine based on just those, let us look at a few other quotes. These three quotes can be found here http://www.lds.org/manual/teachings-brigham-young/chapter-2?lang=eng. The priesthood is God’s priesthood, and his power. He uses it to bring men to salvation, and thus it is through that power (or the power of God) that we can be delivered from that which afflicts us. This because it is what God has ordained. I say you don’t understand the meaning of these select quotes because you fail to consider all the doctrine. You do not pay attention to the quotes that clarify these and give us an understanding of the truth. The priesthood is God’s priesthood, and his power. He uses it to bring men to salvation, and thus it is through that power (or the power of God) that we can be delivered from that which afflicts us. This because it is what God has ordained. If you have superior wisdom in your midst for your guidance, why do you not learn that fact, and permit yourselves to be guided by that wisdom in your business transactions as well as an doctrine?—for there is no dividing between matters spiritual and temporal. There is no act of a Latter-day Saint—no duty required—no time given, exclusive and independent of the Priesthood. Everything is subject to it, whether preaching, business, or any other act pertaining to the proper conduct of this life. Journal of Discouses, Vol. 7, p.66, June 6, 1858. Now you didn’t think I had more quotes? LOL. No difference between temporal (this world) and spiritual (the heavens). Everything… includes the gods. 1. Celestial LAW is the PRIESTHOOD. 2. The PRIESTHOOD is the principle of salvation. 3. The Priesthood is a perfect system of government. 4. The Priesthood is a perfect system of laws and ordinances. These quotes say that not only is your God “Elohim” ruled by the Priesthood, but that ALL the GODS are. You are simply trying to play word games Shem, but the MEANING of what Young teaches is PERFECTLY CLEAR. Lurkers, the Mormon “gods” are ruled by LAW and are not SOVERIGN. It is the PRIESTHOOD that dictates to THEM what they should do. This “perfect” priesthood, had Jo Smith committing adultery, polygamy, polyandry, lying, murder, treason, and all kinds of other crimes. This is Mormonism’s PERFECT LAW. Don’t let Shem fool you. You will notice that Grindael once again has to stoop to personal attacks in order divert the real issue. If Grindael actually understands what he claims to then he is the liar. No God created the priesthood or the natural laws of Justice and Truth. They simply exist. Good is good and evil is evil. No one created these things. They simply exist, and God is God because he has chosen to be just, honest, and good. Grindael speaks either in ignorance or is purposely lying in order to distort the truth. There are things that simply exist. They never were nor can they be created. The Priesthood is an everlasting principle, and it is the power that God uses to do his great works. It is a power in God, just as our physical strength in a power in us. Just as our power can be increased if we make the right choices, God, through making the right choices, has increased him power so that now he has all power. Do not believe anyone who claims anything else. It’s not a personal attack when someone is being untruthful. Now, Shem just made my whole point. The PRIESTHOOD, DOES NOT COME FROM THE MORMON GOD! HE IS SUBJECT TO IT, and it RULES HIM. If the “priesthood” existed “with” God, for all eternity, then why does anyone need to be ordained to the priesthood, since we are all (by Mormon doctrine) gods? And WHICH GOD Shem, did it “exist” with? Not “Elohim”, because he had to “acquire it”, by the laying on of hands when he was mortal. See how this works folks? Round and round we go. Circular arguments that mean nothing and show that Mormonism is just a mass of confusion. The Mormon God “Elohim” did not institute the “priesthood” because he had to be born as a “spirit”, be born as a “human”, and THEN acquire it. Of course, Mormons don’t believe that GOD is SOVEREIGN, because the “priesthood” is “self existant” and IT RULES THEM, rules that that Jo Smith devised, and broke with impunity at the behest of this same God! All of their many gods “power” is something that did not come from them. It is a doctrinal teaching of Mormonism that the God “Elohim” is subject to a law outside of himself, and that he did NOT institute the laws of the “priesthood”, since it existed before he did. Which god did the Mormon “priesthood” “exist with” from “all eternity”. They can’t answer that. The Mormon God “Elohim” is God because he subjected himself to the “priesthood”, and as we can see by what Jo Smith did, it is anything but “just”, “honest” and “good”. Case closed. Now, ask yourselves this: Does your physical strength rule you? Does it force you to do things? The power to act is not in our physical strength, but in our minds, in our will or faith that when we act a certain outcome will result. God’s power is no different. The priesthood does not rule God. It is a power that is within him, and he uses this power through his power to act, which is the agency and faith of all sentient beings. Of course, Grindael also likes to try and speak on things that he really has no clue about. Personally, I don’t understand it all myself. However, I do know that the Priesthood is not self-existent, as he claims. It exists with God, meaning that without God there is no priesthood; but conversely, without the priesthood there is no God. Again, it is just like our own physical strength. Without the physical strength of our bodies we would not exist; but without us that strength would not exist. The two are dependent on each other. Grindael can claim what he wants. The priesthood comes from God. It is a power that is in him, and we receive it through him. Anything beyond this is getting into things that no mortal man can truly understand, for we lack the ability to comprehend things outside our own experience. And Grindael has once again shown his ignorance and dishonesty. This from the whiner folks who ALWAYS complains about being attacked. Except that Brigham and Jo taught that the Priesthood is SELF EXISTENT and that they are RULED by it. Notice that Shem totally ignores the fact that his God “Elohim” had to acquire the “priesthood” in a mortal life. Why be mortal then, if you have all “power” and can do all things as Shem states? Why go through all the ordinances that Young and Jo claim save you? In Christianity it is simple, God became flesh to right a wrong committed by Adam. In Mormonism, God just does all these things because the eternal LAW, the “priesthood” dictates that they do so over and over again. Of course, Grindael also likes to try and speak on things that he really has no clue about. Personally, I don’t understand it all myself. We know you don’t understand. Note this folks. Shem is speaking about things he ADMITS he doesn’t understand. How messed up is that? And of course this is Mormonism. Throw out a bunch of things that no one can understand (confuse you) and then claim that it is all ok cause Jo and Brigham or some other “prophet” said so. However, I do know that the Priesthood is not self-existent, as he claims. I didn’t say it. Shem did. “NO GOD CREATED THE PRIESTHOOD”. He can’t even remember what he posts, folks. It exists with God, meaning that without God there is no priesthood; but conversely, without the priesthood there is no God. So the Mormon God is NOT SOVEREIGN because he can’t exist without his “priesthood”, the same “priesthood” that predates him. Look up the word conundrum Shem. That is what you are telling us and it is SENSELESS. Jo said, ” and that priesthood is as eternal as God Himself, having neither beginning of days nor end of life. … AS ETERNAL AS GOD HIMSELF… Which God folks? Which God? Again, it is just like our own physical strength. Without the physical strength of our bodies we would not exist; but without us that strength would not exist. The two are dependent on each other. We WOULD EXIST, because we have a SPIRIT, folks. You see, Shem only thinks in MORTAL terms. That is the whole thing with Mormonism. They project MORTAL VALUES on their gods. OUR GOD, the Christian God, does not need ANYTHING to exist. He is ALL POWERFUL, SOVEREIGN in His own right and does not need some set of laws that precede him, to exist. HE IS HIS OWN LAW. In Christianity, GOD is the LAW. In Mormonism, PRIESTHOOD is the LAW. Again Grindael likes to distract the issue and conflate what I say. Nothing I have ever said in any way contradicts itself. It is Grindael who claims that a law has to instituted by someone, not me. I never made this claim, nor do I hold to it. Laws are not always instituted. Some things just exist, and among them are a number of principles, or laws. Despite his obvious twisting of my words Grindael has proven nothing, except that he is very willing to misrepresent others faith and words in his never ending quest to attack the LDS church. He ignores half of what is said so that he can twist the other half. Once again, the simple truth is this: just as we have power in us to act and do things, so God has power in him. His power is the priesthood. It comes from him to us and it is through that power that he operates. It has always existed, just as he has always existed, for it is an eternal principle. Despite what he claims, this is not synonymous with self-existent. The Priesthood is the power of God, and thus if there was no God there would be no priesthood. However, since there is a God there is a priesthood, and for as long as there have been gods there has been the priesthood. God is not ruled by the Priesthood; rather he rules through the priesthood. There is nothing in any of the quotes Grindael gives to contradict this, and if seen in proper light and context most of them teach it rather directly.